Anyone know of a good comprehensive paint finish reference guide or source for engine bay components? Also suspension and interior components? I've seen various threads on certain components like LCA, dash, engine block etc., but there are some other items I'm wondering about. I'm not concerned about getting my car 100% authentic because it has many non-original components, but I would like to keep as many things as I can close to the original color/finish. Did anyone every provide a response to this thread? I'm also looking for a source for paint colors or coatings for a 1970 Challenger RT engine bay. 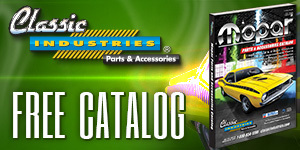 are you looking for the color of the engine bay or components in it? Components. Exhaust manifolds, brake booster, master cylinder, etc. Unfortunately I cannot be of much help in this department as restoration isnt my deal. I would think that a lot of that information could be found online as well is some books. Thanks. I started with a search of this forum. Understand and I hope more will weigh in on it for you. There are definitely guys here who know.